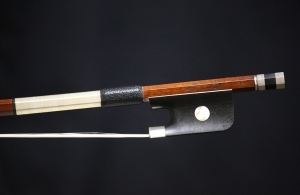 Description: Rodney has been actively making bows for over 30 years and is a member of the American Federation of Violin and Bow Makers, where he earned the degree of Master of Bow Making. 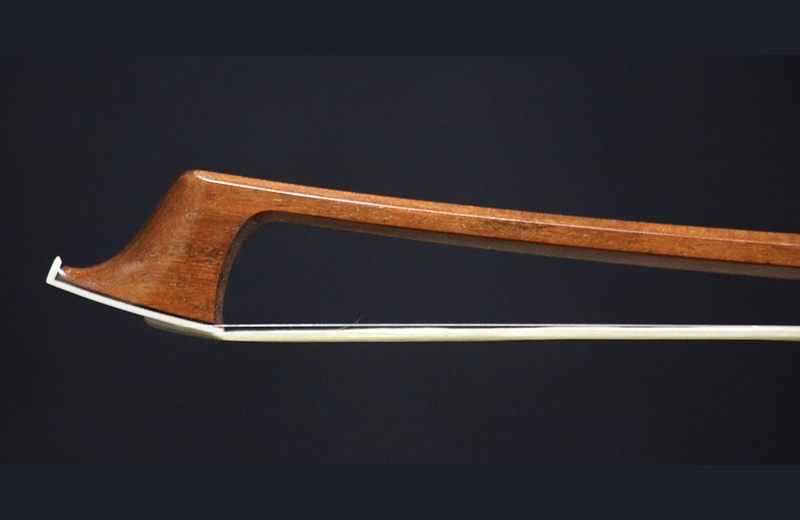 Rodney has produced nearly 1,000 bows and has restored a countless number of fine bows. As Co-Director of the Violin Society of America’s Oberlin Bow Restoration Workshop, Rodney has taught many students the fine art of repair and restoration. He has been a guest instructor at the North Bennett Street School in Boston and given demonstrations at the Chicago School of Violin Making, where he is an alumni and serves as a board member. Rodney has won numerous awards in international competitions, including the Violin Society of America International Competitions and the Concours International de Paris. Rodney holds the distinction of Hors’ Concours by the VSA.Rodney has served as president of the Violin Society of America and bow judge, and president of the American Federation of Violin and Bow Makers. 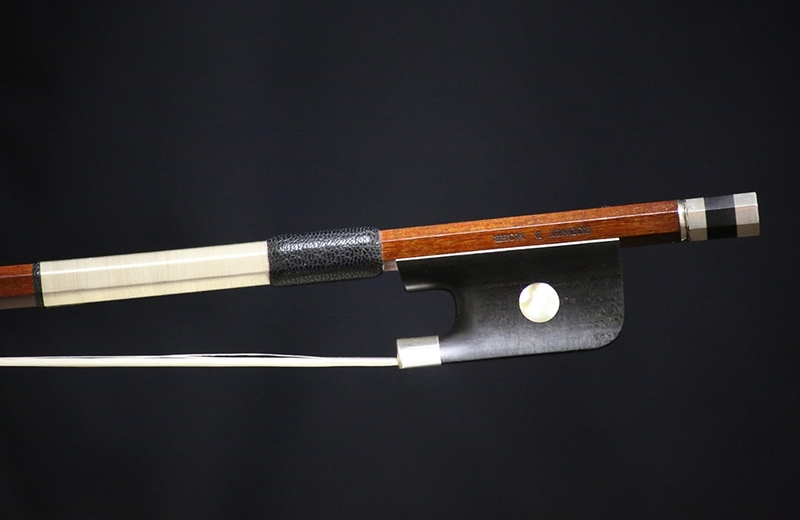 This particular bow is in mint condition and produces a powerful, clear tone across the strings. It is silver and ebony mounted onto a round stick of red-brown pernambuco. Weight: 80.4 grams.